Dealing with the chaos of witches, giants, and the end of her life with her husband and new child, the Baker’s Wife understands the importance of holding onto love and moments of happiness. And here we are in season three of Once Upon a Time and once again, our flawed heroes are thrust into danger and struggle. The debut season of Once Upon a Time in Wonderland has also gotten going and despite my dedication to the former and curiosity about the latter, I am currently struggling with both. 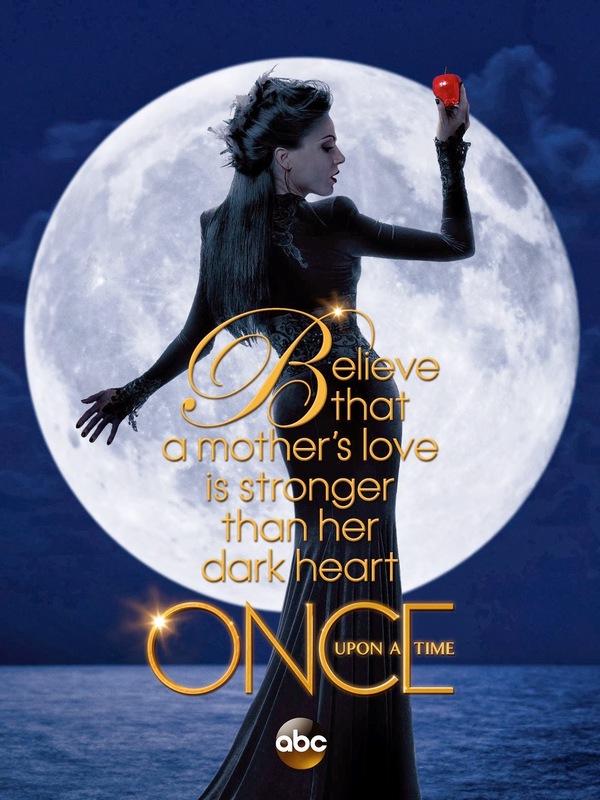 My struggles with Once Upon a Time have to do with slow and repetitive plot development. My difficulty with the Wonderland is that I am not sure it is working. I fail to believe. First, Once Upon a Time. 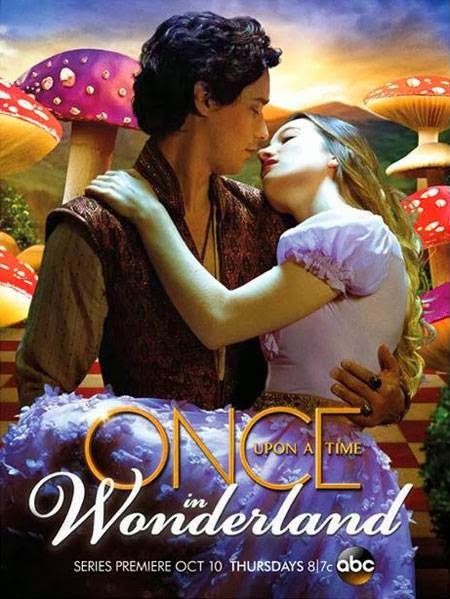 When last season ended, Henry was taken prisoner by Greg and Tamara and brought to Neverland. His family, the whole dysfunctional lot of them, plus Hook, boarded the pirate ship and set sail to get him back – no, not towards the second star to the right and straight on 'til morning, but down a portal in the form of a funnel in the water. This time, instead of fighting each other (well, most of the time) they banded together to fight Peter Pan and rescue Henry. Once everyone is in Neverland, we slowly piece of the story together as to why Henry was taken. The writers continue their pattern of introducing new storybook characters, like Robin Hood and most recently the mermaid, Ariel. (Are they able to bootleg all the Disney characters because ABC is owned by the Disney Corp.?) Some plot is moved forward, but frankly, Henry’s family wandered around the ever-increasing Neverland, cutting back branches and tall grass, and bickering for a very long time. Neverland has been in a way one session of family therapy after another. Everyone confronts, again, old mistakes, hard feelings, regret, and all the choices they made that got them to Neverland. By getting in touch with their feelings, they are able to work together and save Henry. Fear not, they did thwart Pan, who turns out to be Rumpelstiltskin’s father (of course he is and is he an evil one at that). Our heroes, however, face this new set of demons and return home, with Pan safely locked in the Pandora box – except not. Pan managed to change bodies with Henry the moment before being confined by his son in the box. Once back in Storybrooke, Maine, where the seven dwarfs, Belle, and a handful of other people, have been hanging out at the docks waiting for the gang to resurface, in good Once Upon a Time fashion, things go awry, again. Pan-as-Henry sets about getting control of magic and at the end of Sunday’s episode he has done it. He has the curse that sent everyone to Storybrooke and plans to use it to turn their little hamlet into a new Neverland. Crisis is on the horizon (the previews for next week show the return of the billowing purple smoke). And yet, David and Mary Margaret try to convince Emma that she has to have hope and have moments for love and happiness. They have battled dragons, evil queens, and now Medusa (really, Medusa?) to learn that the only way to truly confront all the bad is to stay true to the good. Emma is not convinced yet obviously. True love escapes her. All this could be overlooked or made more palatable if Wonderland had more character development and more reality. (I won’t get into the historical inaccuracy of the scenes in “real world” England.) We are asked to believe, just as we were with Once Upon a Time, that the stories are real. The first show has been relatively successful in presenting reality – even in the scenes in the Fairytale world of Snow, Charming, and the Evil Queen. Wonderland asks us to care about Alice and all her friends (and enemies) without giving us a good reason. We are coming to the winter hiatus for both shows. Once Upon a Time still holds my attention. At this point, unless Wonderland ends with a good cliff-hanger, I am not sure why I should tune in when it resumes.